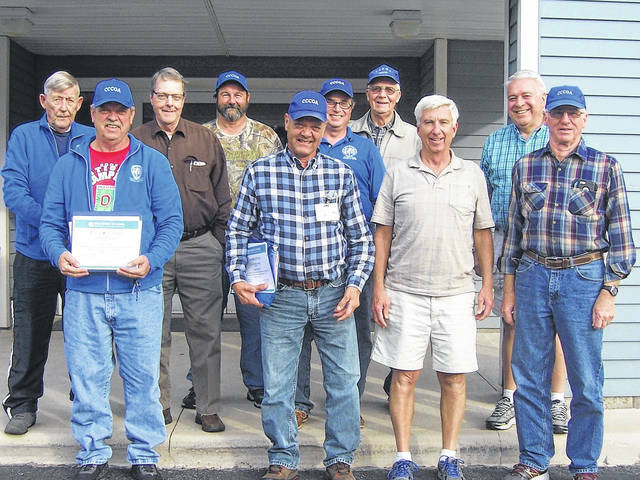 BUCYRUS — The Crawford County Council on Aging recently recognized our transportation drivers with a “Safe Driving Certificate.” To be eligible for recognition, each maintained an accident-free record for a minimum of one year and completed the National Safety Council’s driving course. Pictured, from the left, are Kevin Ruth, Sam Eichhorn, Don Neumann, Mike Tighe, Dave Reffey, Mike Browning, Ron Higbie and Darrell Smith. Missing from the picture are Chuck Siefert and Richard Gearhart.